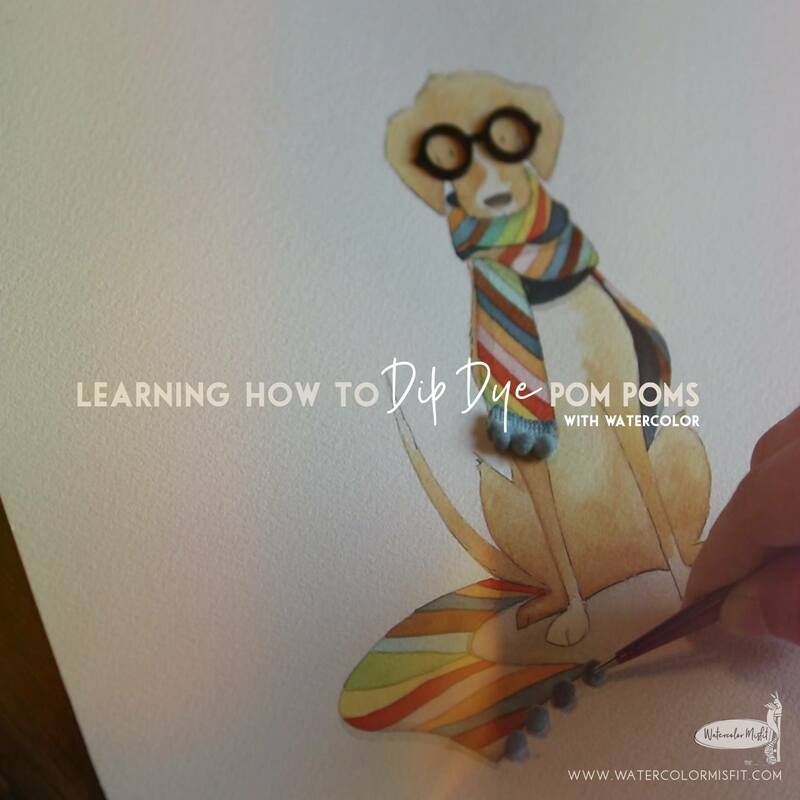 The first step to dip dying pom poms is to start with pure white pom poms. 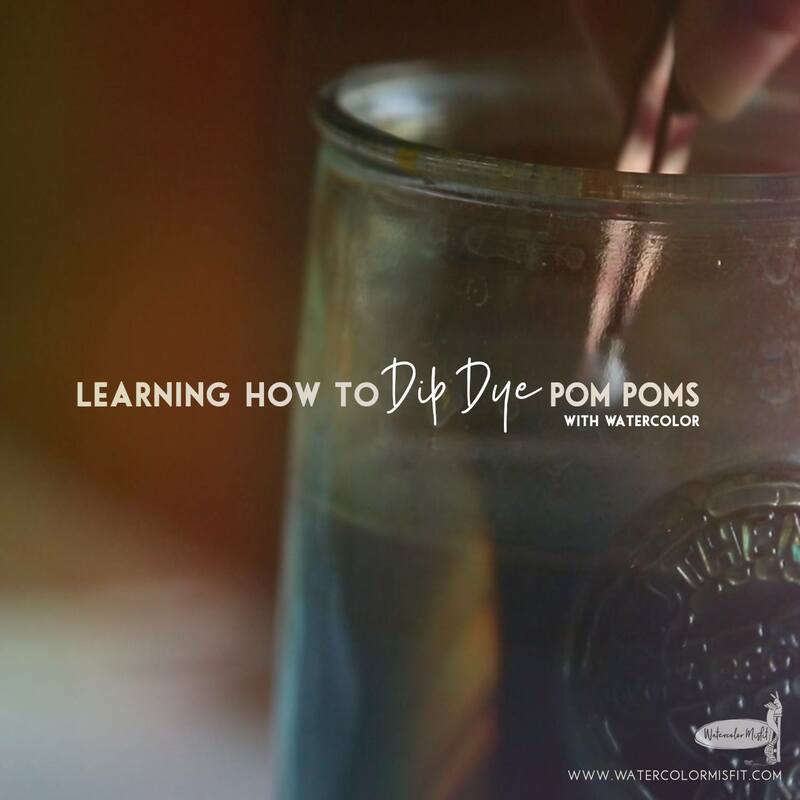 These will give you a clean surface to dye your pom poms any color you choose. I personally like to dye my pom poms – since then they will match my illustration exact and not really look like an added side thought. Next, your gonna want to wet your pom poms. I did this by simply dipping them in my water with a tweezer. The water should open up the cotton in the pom pom allowing it to absorb whatever color it comes in contact next. 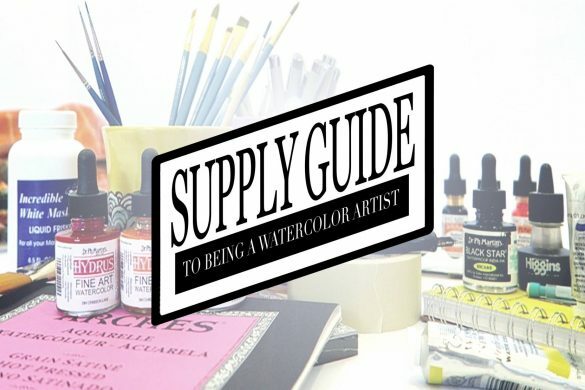 As soon as your pom pom is throughly saturated – dip it in whatever pre-mixed watery watercolor you desire in your palette. Make sure to slide it around and turn it over covering every side of the pom pom and coating the entire surface thoroughly. Next, lay your pom pom on a hand towel or paper towel and let it completely dry. If you place your pom pom pre-maturely on your illustration it will leave a watery wet dot on your paper. So patience is key in this step. Finally, glue your pom pom to your illustration with any glue you desire – I personally used a glue stick for this project – since I might want to take these puff balls off if I need to place it in a frame. But for now – I love the idea of small puffs adorning my illustration. And that’s it my loves! That is the process of how I dip dye pom poms with watercolor! So off you go on your own craft adventures! Happy Painting!